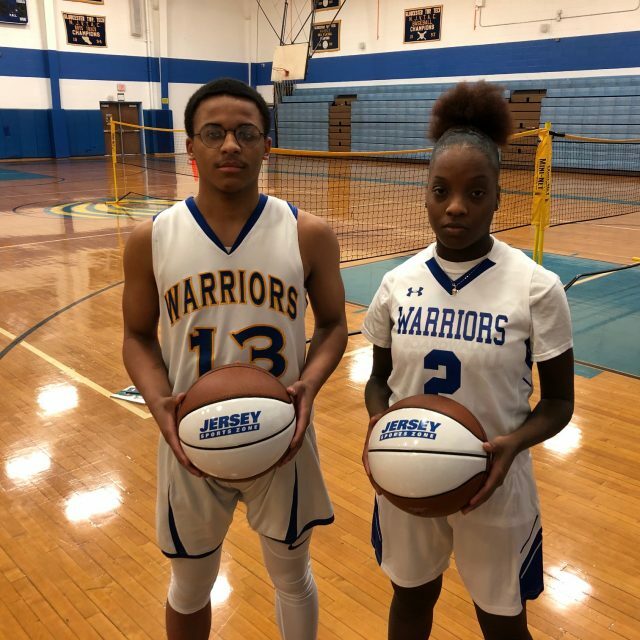 Jersey Sports Zone is pleased to bring you statewide basketball coverage from 1.16. 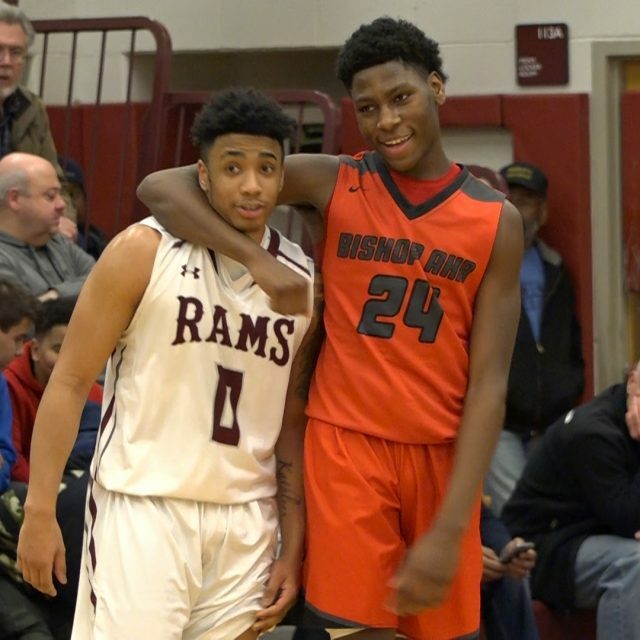 Tonight’s menu features a big South Jersey showdown as Wildwood Catholic prevails in OT at St. Joe-Hammonton plus Bishop Ahr continues to pile up wins in the GMC Wildwood Catholic 78 St. Joe Hammonton 73 (OT) Jahlil White scored 29 points and Taj Thweatt added 20 points, 16 rebounds and 6 blocked shots to give the Crusaders a big overtime win on the road to improve to 12-1 on the season. Marcellus Ross had 34 points and 10 rebounds in a losing effort. 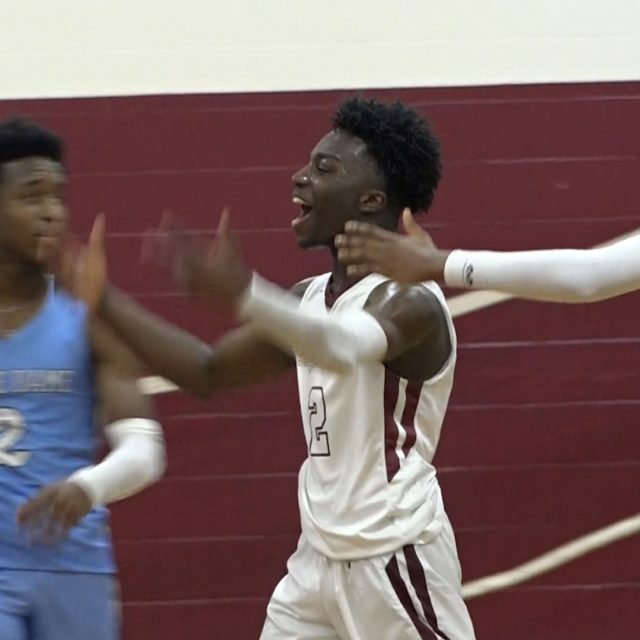 SNJ Today’s Mike Frankel has the highlights from one of the top games of the season in South Jersey: Bishop Ahr 93 South River 64 Bishop Ahr picked up its sixth win in a row with a 93-64 win over Greater Middlesex Conference rival South River. The Trojans went on a 12-0 run to begin the game before eventually leading 50-31 at halftime. 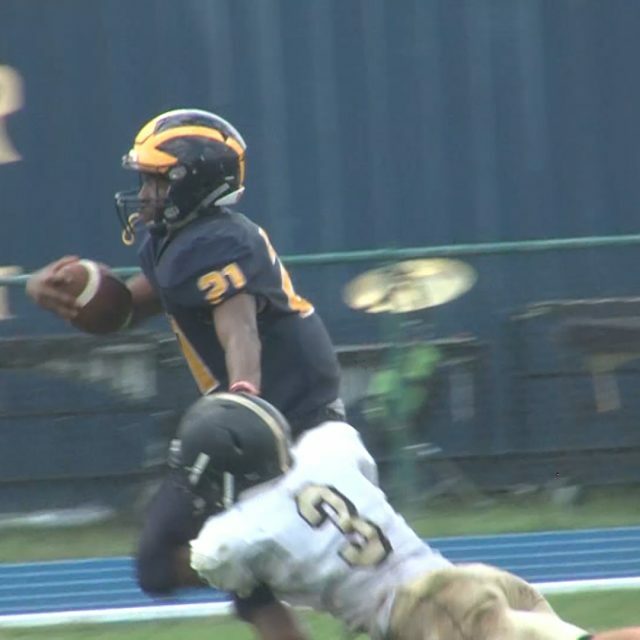 In the second half Bishop Ahr raised the differential as high as 30 points before pulling their starters going into the fourth. 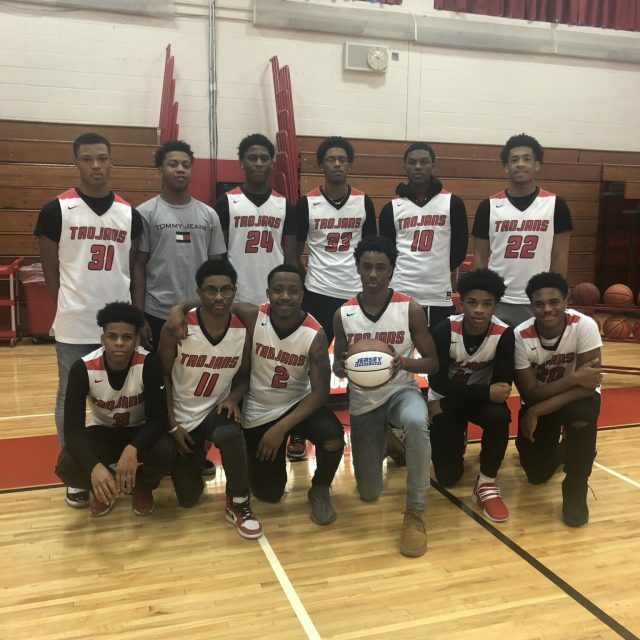 Quandry Adams had 20 points in the victory while Derrick Grant and Zayon Marsh dropped 16, Grant also grabs 16 rebounds. JSZ’s Nery Rodriguez has the highlights: Sponsor! 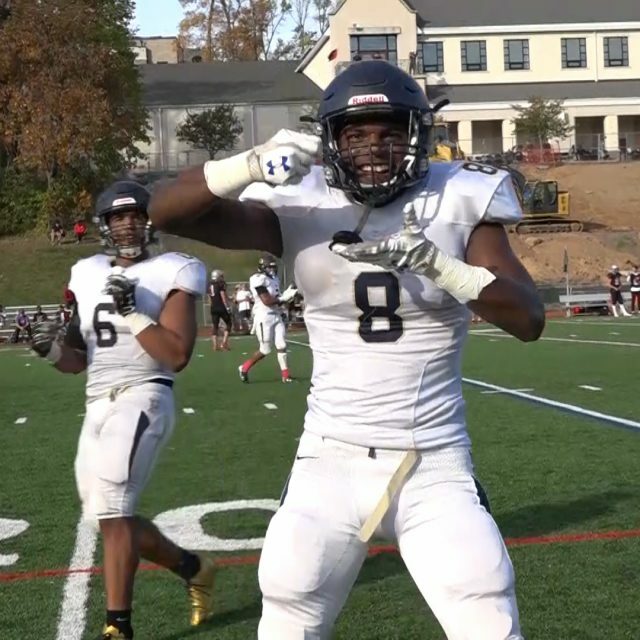 Thank you to Campozino restaurant for sponsoring our South River coverage! 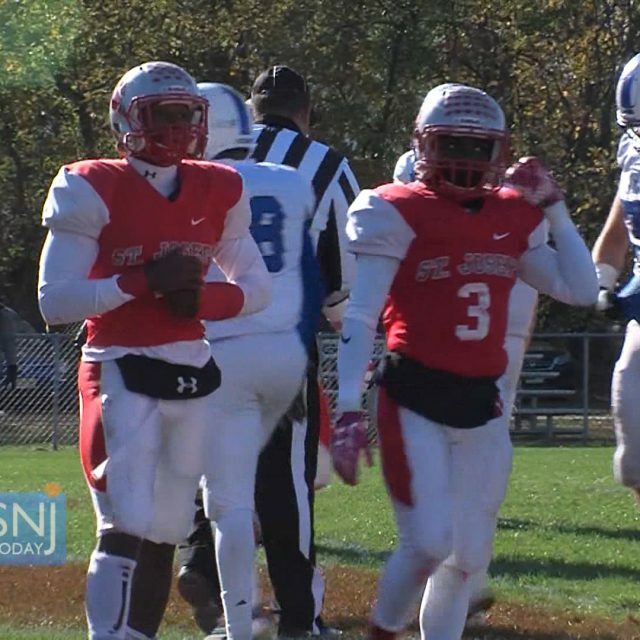 St. Mary 6 St Joes Hammonton 54- Week 10 Welcome to Jersey Sports Zone! After three years on the Jersey Shore, we’ve expanded our coverage to every part of the Garden State. 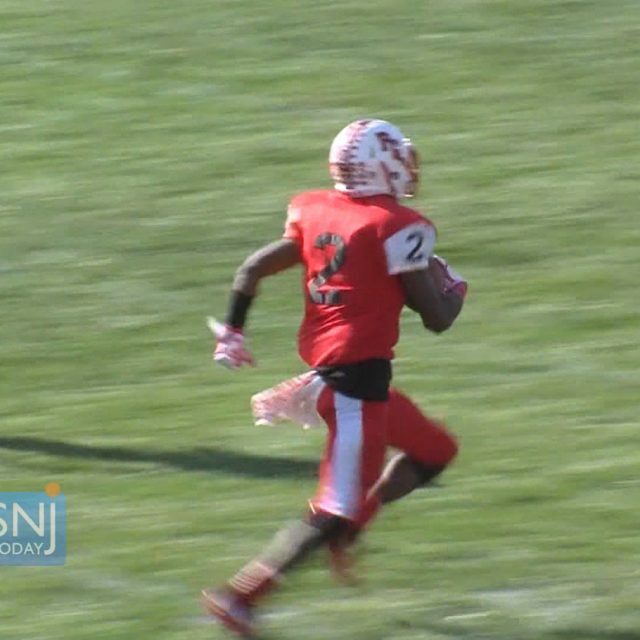 We are excited to bring you high definition highlights and features of high school sports all year long. 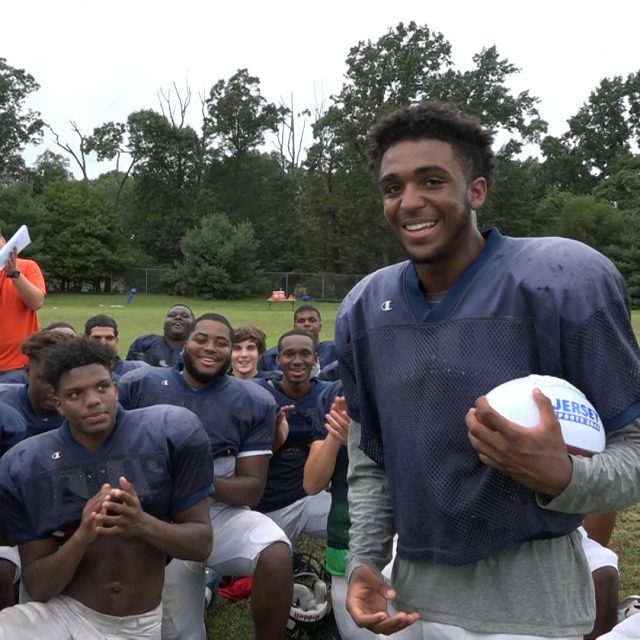 Ji’Ayir Brown took home Nery’s WJFL Week 8 game ball for his 2 TD performance against Allentown. 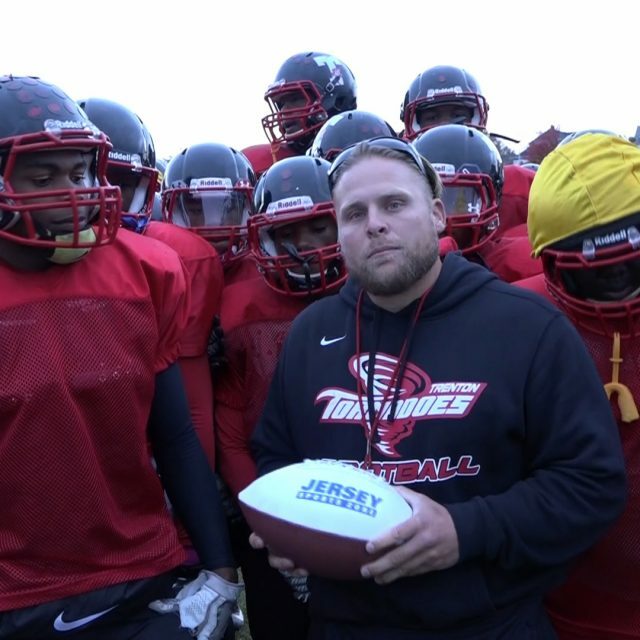 This week we have reloaded with a whole new group of finalists and it’s up to you to decide who should take home the game ball for week 8. Best of luck to all nominees, cast your vote below! 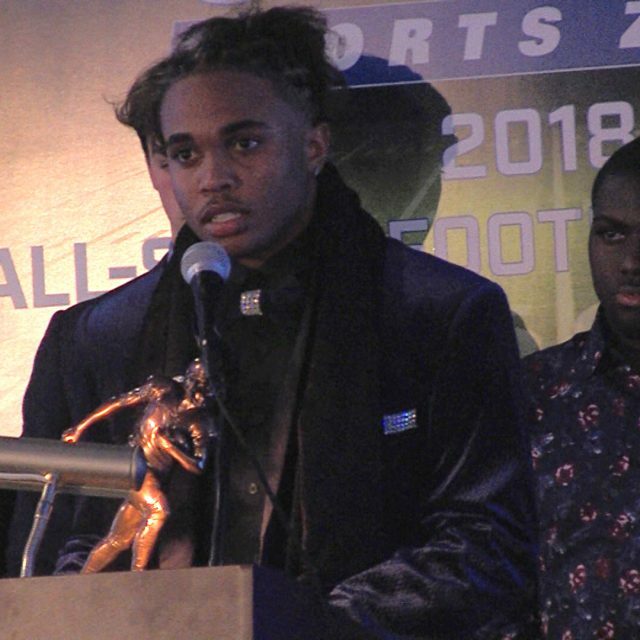 Take Our Poll Last week’s winner: Each week, JSZ’s Nery Rodriguez posts ten nominees from outstanding performances in the WJFL. Voting is open now through Tuesday at 3:00 pm. The winner of the poll will get a JSZ Game Ball presented during a mid-week practice with his teammates. 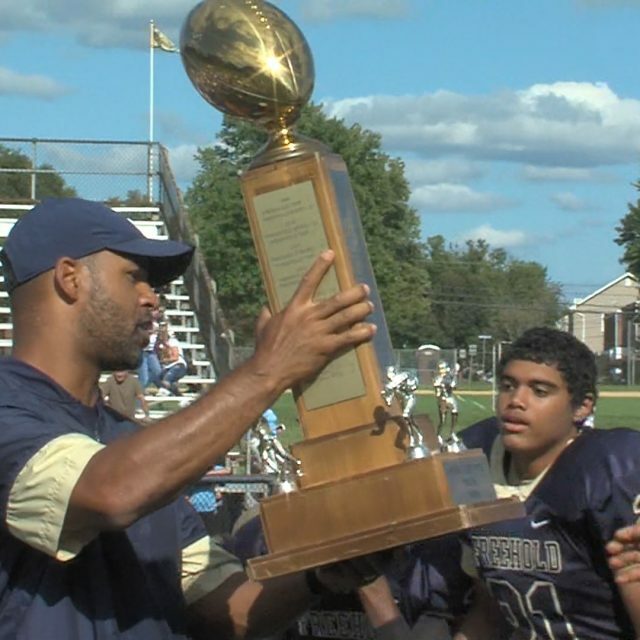 Coaches: You can nominate your top performer every week. Just drop a line to nery@jerseysportszone.com no later than Saturday evening and we’ll nominate your player. Welcome to Jersey Sports Zone! After three years on the Jersey Shore, we’ve expanded our coverage to every part of the Garden State. 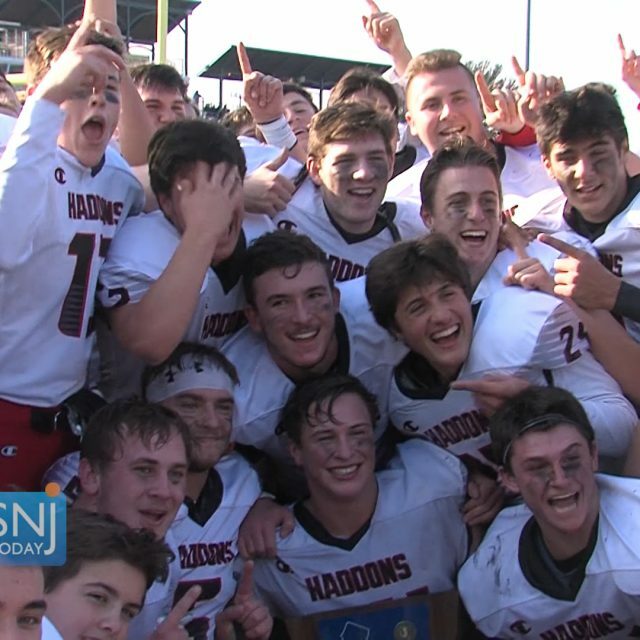 We are excited to bring you high definition highlights and features of high school sports all year long. 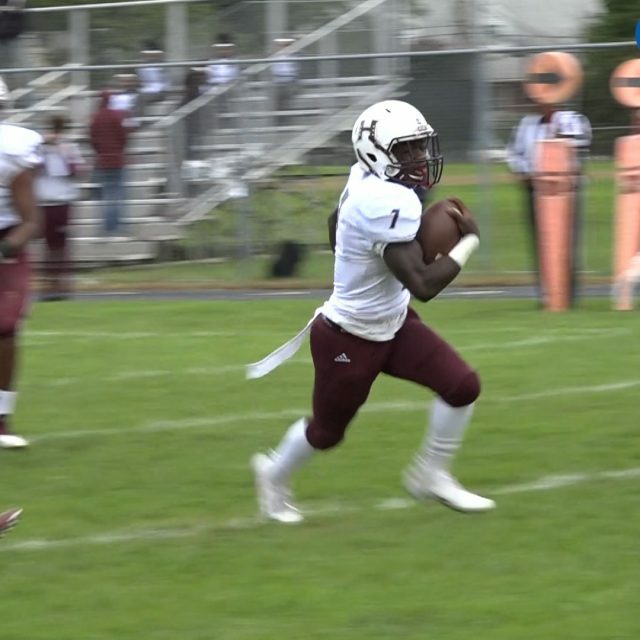 St. Augustine 10 St. Joe’s Hammonton 22- week 8 Welcome to Jersey Sports Zone! After three years on the Jersey Shore, we’ve expanded our coverage to every part of the Garden State. We are excited to bring you high definition highlights and features of high school sports all year long. 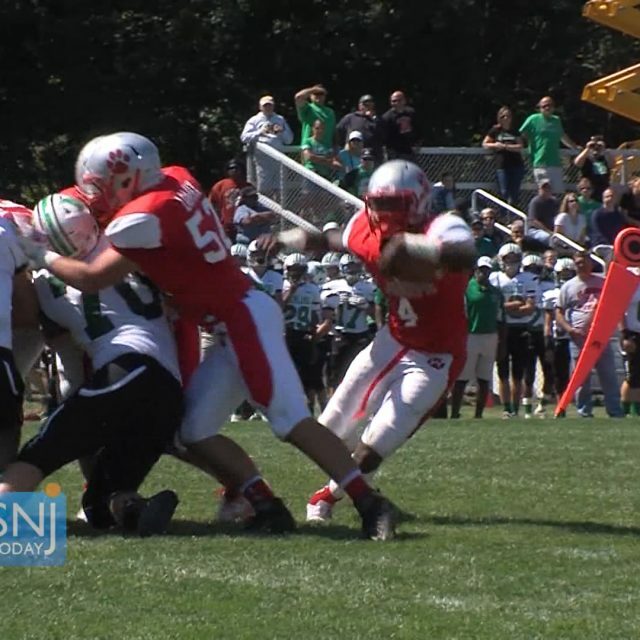 Allentown 26 St Joe’s Hammonton 58- week 6 Sponsor Shout Out! 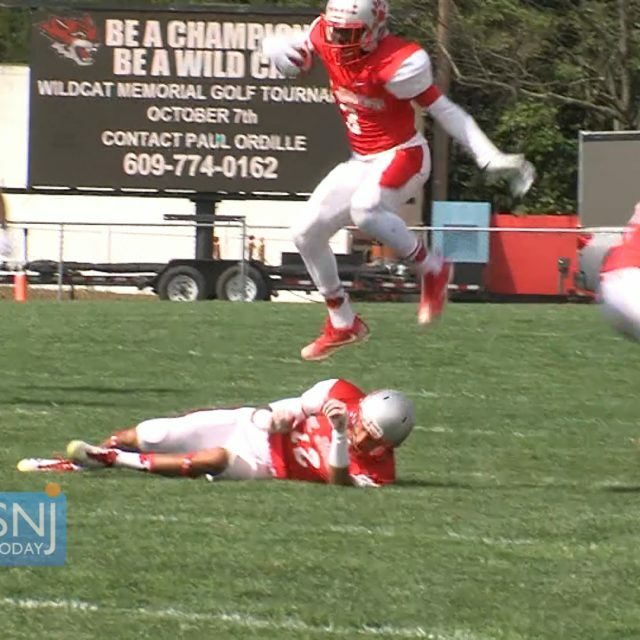 Thanks to Princeton Orthopaedic Associates for sponsoring our Allentown coverage on Jersey Sports Zone. Because of Princeton Orthopaedic Associates, we’ll get many more great moments from Red Birds sports all year long! 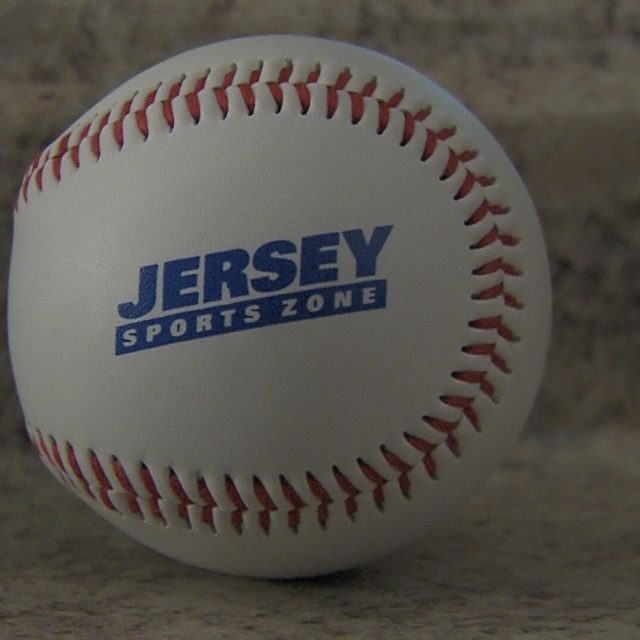 Welcome to Jersey Sports Zone! After three years on the Jersey Shore, we’ve expanded our coverage to every part of the Garden State. 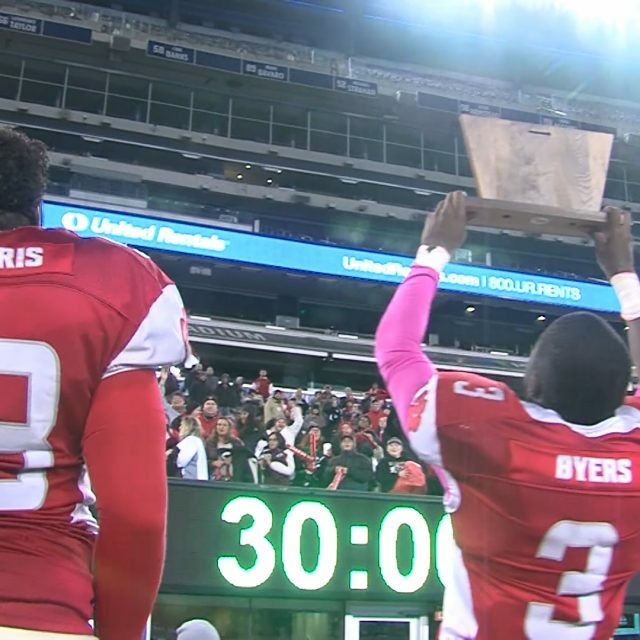 We are excited to bring you high definition highlights and features of high school sports all year long. 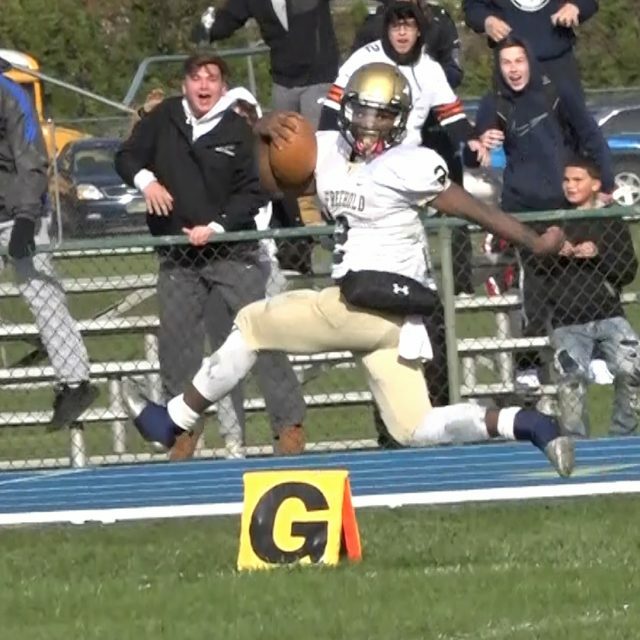 Jersey Sports Zone brings you 11 games of action from around the state including an amazing finish in Little Silver as Monmouth Regional’s Ian Fitzgerald makes a crazy catch in overtime plus we get our first look at North Jersey public school powers River Dell and Old Tappan. 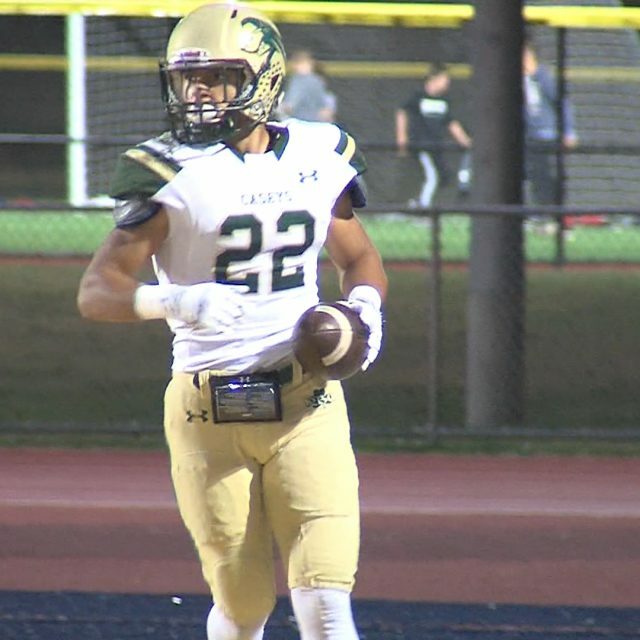 Watch all of the highlights from our Friday Week 6 Highlights Show: Click above to watch highlights from the following games: Manalapan 49 Howell 28: Naim Mayfield 274 yards rushing, 5 TD’s Monmouth Regional 28 Red Bank Regional 27 (OT): Ian Fitzgerald 2 TD runs (28, 61) 2 TD catches (90, 23) River Dell 50 Ridgefield Park 22: Dave Estevez 4-5, 150 yards, 2 TD passes, 2 TD runs Old Tappan 37 Teaneck 7: Nick McNerney 4 TD passes St. Joseph-Hammonton 58 Allentown 26: Jada Byers 11 carries, 147 yards, 4 TD’s Nate Johnson 10 carries, 120 yards, 2 TD’s Hillsborough 35 Hunterdon Central 6: Tyler Boatwright 12 carries 106 yards, 2 TD’s Middletown North 34 Wall 14: Connor Welsh 26 carries, 217 yards, 3 TD’s Raritan 31 Matawan 22 Jackson Memorial 28 Toms River North 0: Leonardo Shimonovich 17 carries, 150 yards, 3 TD’s Holy Spirit 22 St. Augustine Prep 17: Josh Zamot 146 yards rushing 2 TD’s Williamstown 14 Atlantic City 6: Caleb Alexander 9 yard TD run, Deuce Smith 1 yard TD run Jersey Sports Zone’s High School Football Coverage Jersey Sports Zone is excited to cover the entire state of New Jersey with our high definition highlights and features. 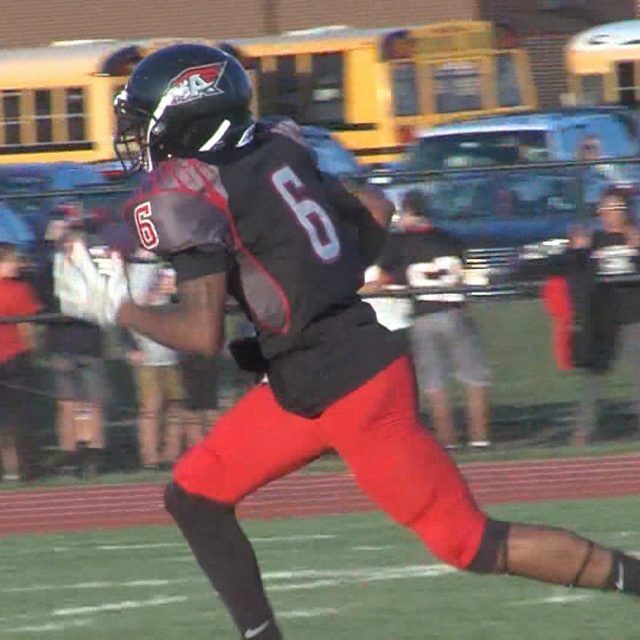 We will post full highlight shows with Friday and Saturday high school football action. Don’t forget you can download our App for free from the App Store or Google Play and get all of our videos right on your smartphone. 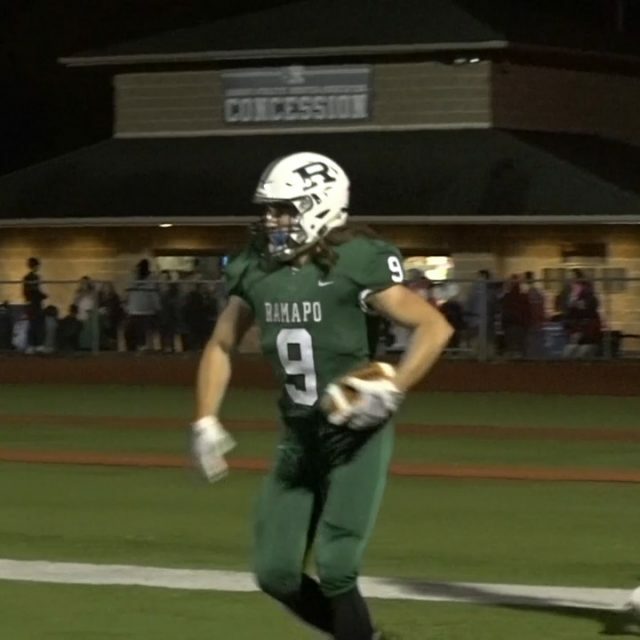 On Sunday, we will nominate the top plays captured by our cameras for the JSZ Football Play of the Week and we’ll honor top performers with nominations for our Game Balls. We ask you to cast your vote from Sunday morning through Tuesday afternoon. 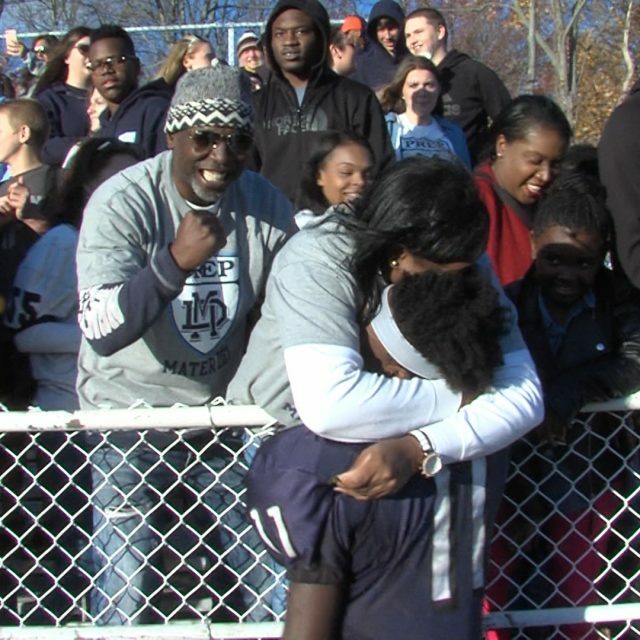 Our Play of the Week winners will be honored at our statewide football banquet in December. Our Game Ball winners will have JSZ cameras come to practice mid-week to hand out a pigskin in front of the entire team. Coming up on Saturday some BIG TIME MATCHUPS! 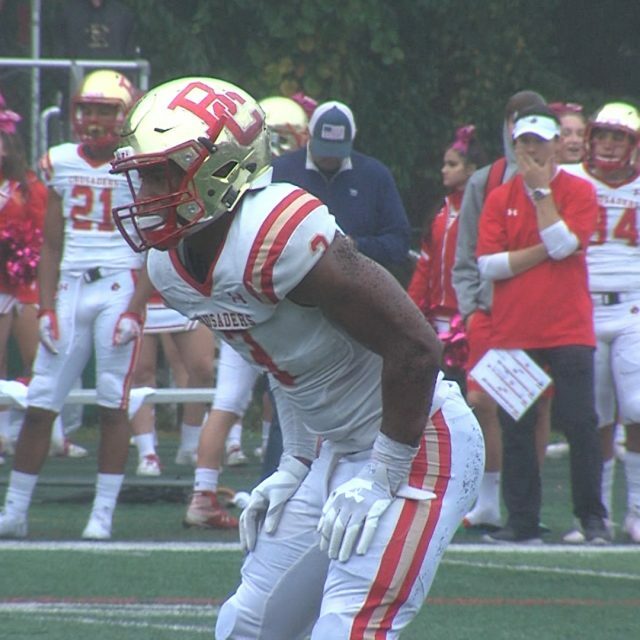 St. Peter’s Prep at Bergen Catholic (#1 vs. #2 in state), Pope John at St. Joe’s-Montvale, Rumson-Fair Haven vs. St. John Vianney @ Rutgers, Red Bank Catholic vs. Long Branch @ Rutgers Coaches: Send your Game Ball nominees by Saturday night to be considered: rich@jerseysportszone.com (Shore), nery@jerseysportszone.com (WJFL), courtney@jerseysportszone.com (Mid State 38), alex@jerseysportszone.com (GMC and Big North) Welcome to Jersey Sports Zone! After three years on the Jersey Shore, we’ve expanded our coverage to every part of the Garden State. 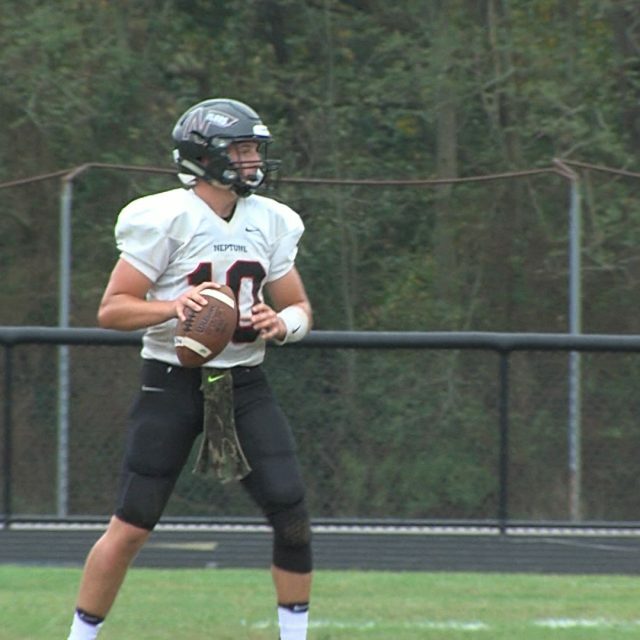 We are excited to bring you high definition highlights and features of high school sports all year long. 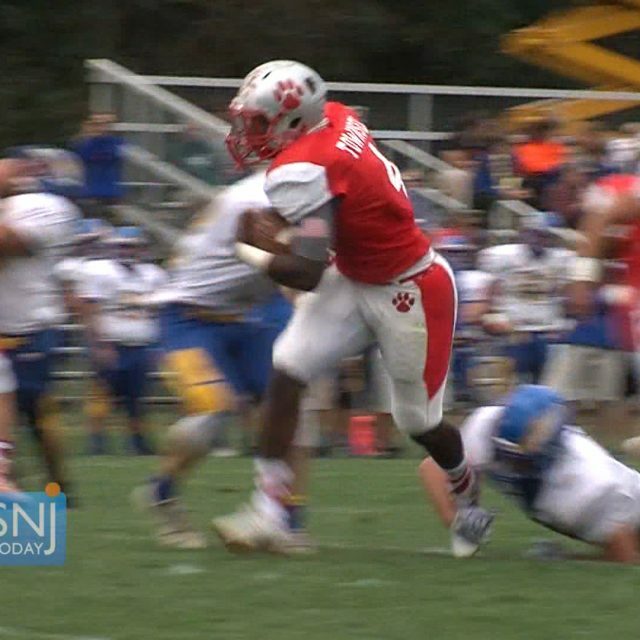 Pennsville 0 St. Joe’s (Hammonton) 53- week 4 Welcome to Jersey Sports Zone! After three years on the Jersey Shore, we’ve expanded our coverage to every part of the Garden State. We are excited to bring you high definition highlights and features of high school sports all year long. 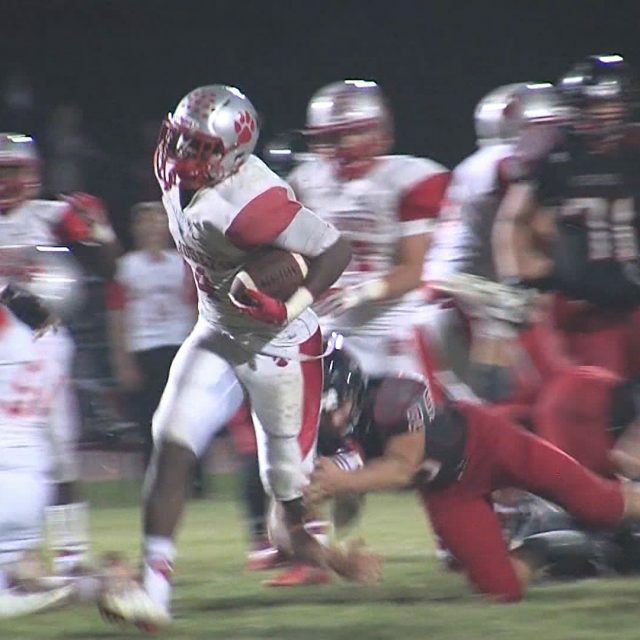 Jersey Sports Zone brought you 22 games of high definition highlights during the first week of the high school football season. 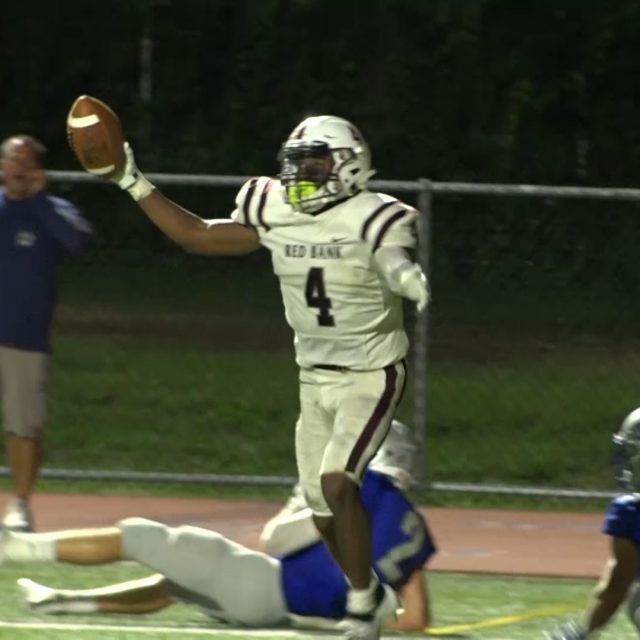 Watch our Saturday Week One Highlights Show featuring 10 games: Click above to watch the following games: Don Bosco Prep 21 Seton Hall Prep 13 – Jalen Berger: 21 carries, 153 yards, 2 TD’s Freehold Boro 46 Freehold Township 20 – Ashante Worthy: 36 carries, 227 yards, 1 TD + 16-25 for 234 passing yards, 3 TD’s Brick Township 27 Brick Memorial 7 – Jim Leblo: 153 pass yards, 1 TD Howell 34 Colts Neck 6 – Eddie Morales: 11-16, 180 yards, 2 TD’s, 2 INT’s + 9 carries, 153 yards, 2 TD’s Point Pleasant Beach 31 Keyport 24 – Sean Gould: 14 carries, 130 yards, 2 TD’s Monmouth Regional 14 Holmdel 3 – Devan Johnson: 35 yard TD catch Immaculata 24 Plainfield 0 – Nate Barnett: 2 TD passes, 25 yard TD run St. Joseph-Hammonton 40 Mainland 0 – Qwahsin Townsel: 3 TD runs Paulsboro 32 Woodbury 0 – Dehron Halloway: 26 carries, 150 yards, TD South River 34 Spotswood 7 – Travis Thomas: 6 receptions, 206 yards, 3 TD’s Jersey Sports Zone’s High School Football Coverage Jersey Sports Zone is excited to cover the entire state of New Jersey with our high definition highlights and features. 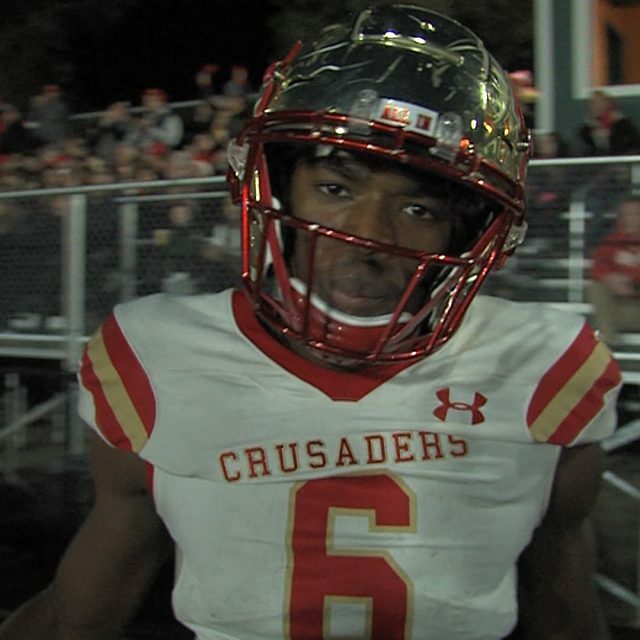 We will post full highlight shows with Friday and Saturday high school football action. Don’t forget you can download our App for free from the App Store or Google Play and get all of our videos right on your smartphone. 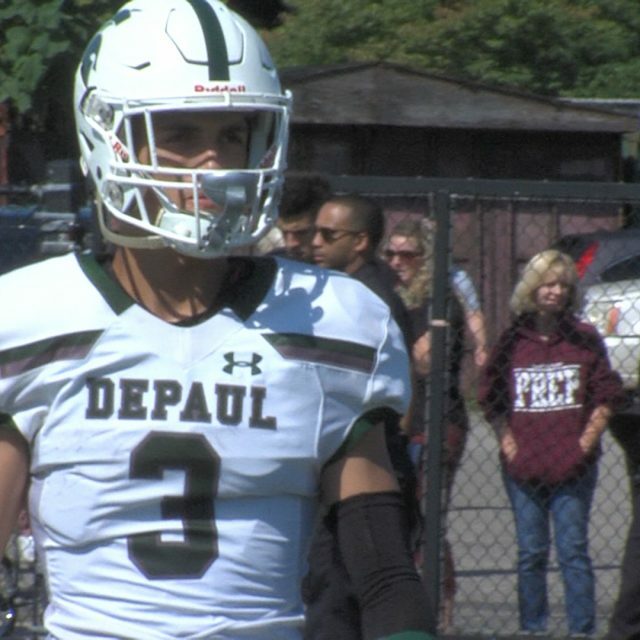 On Sunday, we will nominate the top plays captured by our cameras for the JSZ Football Play of the Week and we’ll honor top performers with nominations for our Game Balls. We ask you to cast your vote from Sunday morning through Tuesday afternoon. 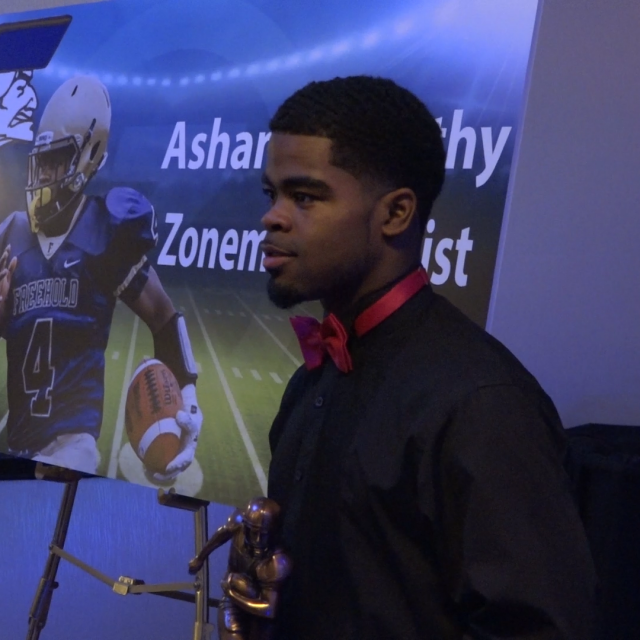 Our Play of the Week winners will be honored at our statewide football banquet in December. Our Game Ball winners will have JSZ cameras come to practice mid-week to hand out a pigskin in front of the entire team. 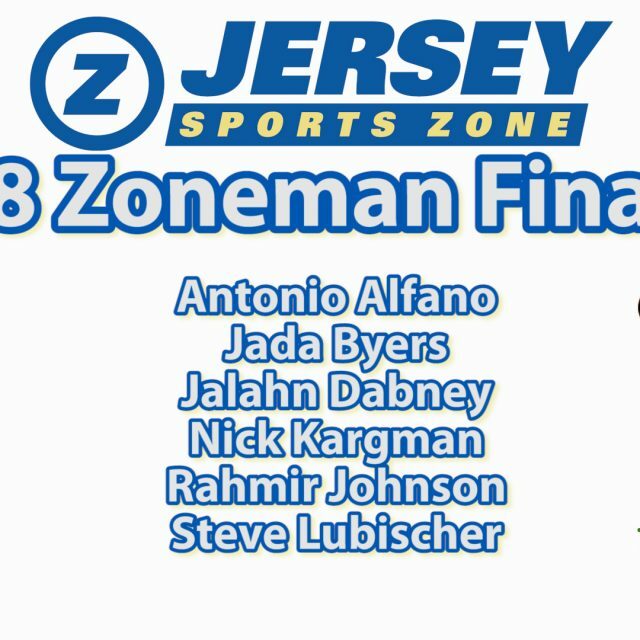 Coaches: Send your Game Ball nominees by Saturday night to be considered: rich@jerseysportszone.com (Shore), nery@jerseysportszone.com (WJFL), courtney@jerseysportszone.com (Mid State 38), alex@jerseysportszone.com (GMC and Big North) Welcome to Jersey Sports Zone! After three years on the Jersey Shore, we’ve expanded our coverage to every part of the Garden State. 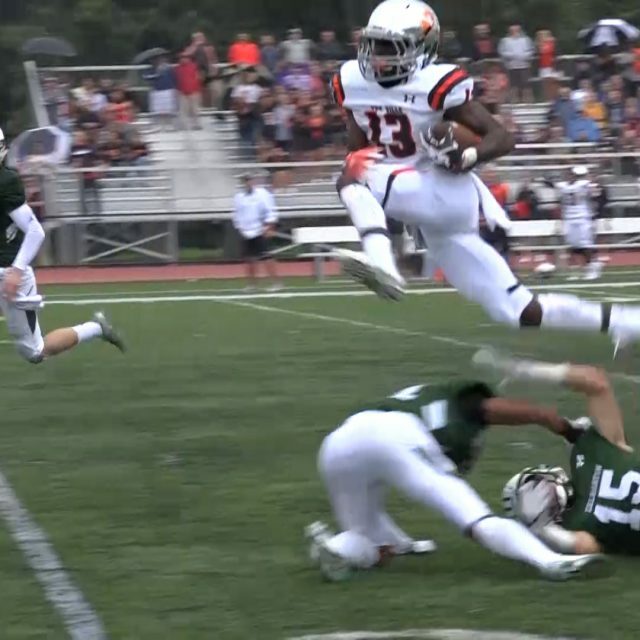 We are excited to bring you high definition highlights and features of high school sports all year long.